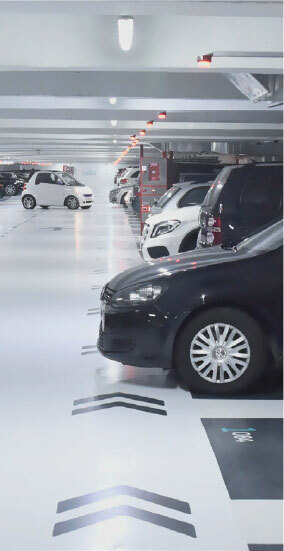 The Customer service and Control Centre (CCC), had 99 connected car parks in 2015 and added another 20 infrastructures under its supervision by the end of 2016, including car parks in Portugal. The CCC, acting as a remote management centre as well as a true call centre with a business outlook, enables Saba to increase the quality of customer support thanks to its call center feature. More visible electrical signals and signage. Better identification of emergency doors.